Dramatic stories from real life. Award-winning makers of film and television for more than 20 years, principals Scott B and Sandy Guthrie joined forces in 2000 with the goal of telling compelling stories that celebrate passion and obsession. Their work has appeared on National Geographic, Discovery, A&E, Lifetime and Sundance TV, along with festival and theatrical releases. Antenna’s current projects include the VIRGIN GALACTIC series following the development of the world’s first spaceline, NO NEW YORK a feature documentary about the subversive and explosive underground scene in 1970’s New York, and the documentary LOOKING UP, WAY UP! 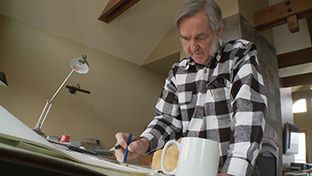 THE BURT RUTAN STORY. Peabody Award and Cine Golden Eagle Award winners for BLACK SKY: THE RACE FOR SPACE, a three-hour Discovery Channel special following maverick airplane designer Burt Rutan in his quest to win the $10 million X-Prize by putting a civilian astronaut into sub-orbital space twice in ten days. 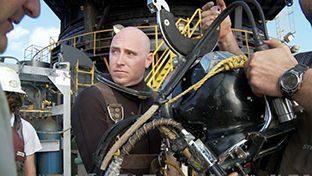 Their National Geographic series DELTA DIVERS explored the high-stakes, high-risk world of deep sea diving in the Gulf of Mexico. 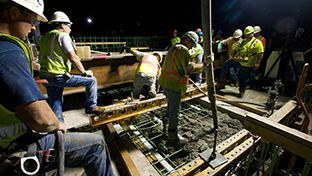 TWIN CITY BRIDGE: AFTER THE COLLAPSE, also for National Geographic, tells the story of the emotional recovery of a city after the fatal collapse of the I-35 Bridge over the Mississippi. 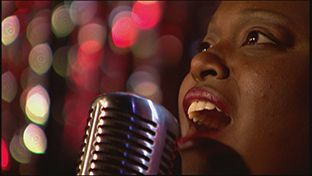 They developed and co-executive produced the Lifetime Original Movie KARAOKE SUPERSTARS, a dramatic documentary following four women reaching for their dreams. Recent projects include a six-part series LOREDANA, ESQ. 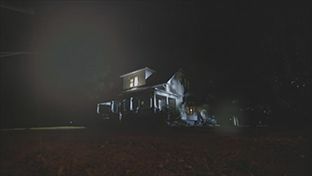 on Sundance TV, AMERICAN HAUNTING for A&E, commercial work for Land Rover, and PSAs for non-profit Ability First. Her recently completed projects include Executive Producer and Showrunner for LOREDANA, ESQ., a six-part series for Sundance TV. Co-Executive Producer, AMERICAN HAUNTING for A&E. 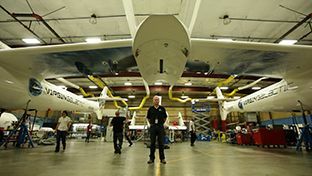 Series Producer, VIRGIN GALACTIC: WILL IT FLY? for National Geographic. Executive Producer and Writer, DELTA DIVERS: DIVER DOWN and RACING THE STORM as well as TWIN CITY BRIDGE: AFTER THE COLLAPSE for National Geographic. She co-executive produced the Lifetime Original Reality Movie KARAOKE SUPERSTARS, and served as the Supervising Producer for the 13-part A&E series ROLLER GIRLS. She has produced, directed and edited programming for Discovery, Lifetime, A&E, Discovery Health, HBO, and Showtime. These programs include the Peabody Award and Cine Golden Eagle Award-winning BLACK SKY: THE RACE FOR SPACE, BLACK SKY: WINNING THE X-PRIZE, two seasons of PLASTIC SURGERY: BEFORE & AFTER, the Peabody Award-winning PBS series CRAFT IN AMERICA, and episodes of the Discovery series ON THE INSIDE. Today Sandy enjoys working across all spectrums of content and job descriptions but still loves to sit down at the AVID and practice her first love — editing. Her career began as an editor in New York City cutting her teeth on NATIONAL GEOGRAPHIC EXPLORER, NOVA, the PBS series THE MIND, and AMERICAN MASTERS. In Los Angeles, she cut both television and feature-length documentaries including BEHIND CLOSED DOORS and THE AMERICAN DREAM — both for Disney/Showtime, and CHOKE — the Rickson Gracie documentary for Propaganda Films and Polygram Entertainment. Three of her editing projects were Sundance Film Festival selections: the dramatic feature film WHATEVER, released by Sony Picture Classics; JAMES BALDWIN: THE PRICE OF THE TICKET competed for the Grand Jury Prize for documentary and won the Audience Choice Award; and SEALIFE competed in the Narrative Short Film category. The television special SCARED SILENT was broadcast simultaneously on ABC, NBC, CBS and PBS, a historical first for a non-news-related broadcast. KIDS SAVING KIDS aired simultaneously on CBS and FOX, and won the Emmy Award for Best Children's Programming Special. BREAK THE SILENCE: KIDS AGAINST CHILD ABUSE aired on CBS and won a Peabody Award. MTV’s DECADE, also received a Peabody Award as well as an Emmy nomination for editing. Sandy won a Clio Award for the PSA ACTION MENSCH. Scott B is a filmmaker and documentarian whose diverse work is united by an interest in characters and stories driven by passion and obsession. 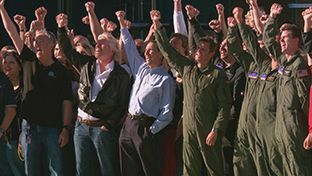 As creative consultant to Richard Branson’s Virgin Galactic he continues this pursuit, documenting what soon will be the world’s first spaceline: from intimate portraits of the major players and events, to designing the camera systems inside and outside the spaceships capturing the historic first flights, to creating branded content and films for the ongoing VIRGIN GALACTIC project. His recent commercial work is featured in spots for Land Rover and Grey Goose. Scott executive produced, wrote, directed and filmed the series DELTA DIVERS: DIVER DOWN and RACING THE STORM, as well as TWIN CITY BRIDGE: AFTER THE COLLAPSE for National Geographic. He co-executive produced the Lifetime Original Movie KARAOKE SUPERSTARS. He was Series Producer, Director, Writer and Director of Photography for the first one-hour episode VIRGIN GALACTIC: WILL IT FLY?, also for National Geographic. Scott produced, wrote and directed the Peabody Award and Cine Golden Eagle Award-winning specials BLACK SKY: THE RACE FOR SPACE and WINNING THE X-PRIZE on Discovery. He has produced, written, directed and photographed other programming on networks including Discovery, National Geographic, History, Lifetime, TLC and Discovery Health. These include two seasons of PLASTIC SURGERY: BEFORE & AFTER, the one-hour GUTBUSTERS IN ALASKA, THE SECRET LIFE OF LUGGAGE, and L.A. CORONER, among others. 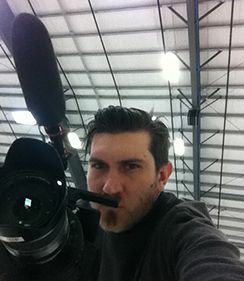 He was part of the development team on the ice and director of photography for the pilot ICE ROAD TRUCKERS. Scott started in motion pictures by creating a series of groundbreaking, stylistically daring Super 8 and 16mm films as part of New York’s downtown Punk scene. These acclaimed films including shorts: G-MAN, BLACK BOX, LETTERS TO DAD, LAST RIGHTS, THE SPECIALIST and features: THE OFFENDERS, TRAP DOOR and VORTEX are recognized as seminal to New York's independent filmmaking scene and have been honored in numerous international film festivals including the New York Film Festival, the Berlin Film Festival, the London Film Festival, the Rotterdam Film Festival, and in retrospectives at the Whitney Museum and the Museum of Modern Art. From cast wrangling for Food Network’s CUPCAKE WARS to researching and appearing on an episode of H2’s THE UNIVERSE to landing in Antarctica with Sea Shepherd for WHALE WARS Aaron loves the process of making television. At heart he is a writer and journalist, and finds producing documentary the most compelling. Currently the Production Manager and Post-Production Manager for Antenna he supports the different aspects of the production process. Starting in television back in 2006 logging uncut footage for the Lifetime reality show MERGE and the PBS series CRAFT IN AMERICA, and then moving into research for an installment of the PBS AMERICAN MASTERS series, he took a short hiatus in 2008 to attend graduate school at New York University earning a M.A. degree in news and documentary production. Personal highlights in his career include the two months he spent in Antarctica on the open sea; the creation of a documentary short for his graduate school thesis about activism in New York; and for the past four years working with Antenna on the VIRGIN GALACTIC project. Other credits include associate producing INSPECTOR AMERICA that aired on History Channel, researching for the series AMERICA’S SECRET SLANG that aired on H2, appearing on and researching for an installment of H2's THE UNIVERSE, and production assistant work for the Mother’s Day special EXTRAORDINARY MOMS that aired on OWN. A Los Angeles native his first career was in marketing research and advertising, but since finding his passion in production he hasn’t looked back jumping in with both feet to create compelling and great television. PATRICIA BISCHETTI has produced and supervised projects and series for cable and television networks including PBS, Discovery, TBS, TNT, TCM, CNN, American Masters, Lifetime, Starz, Encore and Showtime. In a career spanning 20 years and projects filmed around the world in Africa, South America, Bangladesh, Russia, Europe and Japan, Pat has overseen major productions including the Peabody Award-winning and Emmy nominated series CRAFT IN AMERICA for PBS, a ten episode series for Discovery’s ON THE INSIDE, the Peabody Award-winning BLACK SKY: THE RACE FOR SPACE on Burt Rutan’s SpaceShipOne and the X Prize, Participant Production’s THE WORLD ACCORDING TO SESAME STREET featured at the Sundance Film Festival, THE WARNER BROS. STORY, a four-hour documentary series on the history of Warner Bros., TCM’s Emmy nominated CARY GRANT: A CLASS APART, CNN’s Emmy nominated DYING TO TELL THE STORY, exploring the world of war photojournalists, CNN’s SOLDIERS OF PEACE: A CHILDREN’S CRUSADE, recognized internationally for its celebration of Colombia’s Children’s Peace Movement, many long-form American Masters documentaries including Cary Grant, Gene Kelly, George Cukor, Irving Thalberg and Bob Newhart as well as other acclaimed series and documentaries. As Executive Producer at Big Buddha Baba Productions, she created interactive media and experience design.